Advances in the technology of mobile devices and wireless computers have transformed the way individuals communicate, making people’s use of such devices very frequent while traveling by means of transport. Vibrations are found in a variety of human activities, such as travel, leisure and work activities, and therefore, exposure is unavoidable to the individual. In order to maximize the time during the trip, people try to keep their minds active with study or work activities or in search of socialization for the purpose of distraction or entertainment. This has sparked the interest of the scientific community in conducting studies focusing on how this interaction of the individual with the cellular can affect cognitive performance. 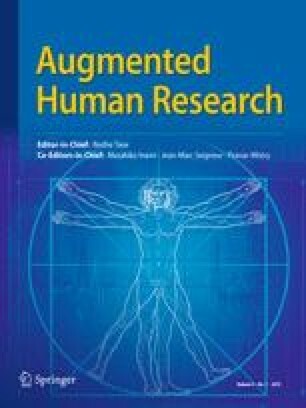 The present article intends to constitute an analysis on the effects of whole-body vibration exposure on cognition in university students assessed through the use of a game application for cognitive brain training on a cell phone or tablet for both genders. The aim of this work is to present the results of the influence of whole-body vibration on cognition in different variables (gender, type of device used and frequency of exposure) as a contribution to scientific and technological research. Forty people, being 20 females and 20 males, participated in the experimental test, having to exercise their cognitive abilities through the use of an application for brain-training games. It was based on traffic light images. When the green light appeared, the subjects had to click as quick as possible on the screen, being the processing speed the objective measure. The individuals were subdivided into groups to be able to verify the influence of the vibration according to the type of mobile device (smartphone or tablet) used for the game, gender of the volunteer (female or male) and whole-body vibration frequency (5 Hz or 30 Hz) and with 0.8 m/s2 of amplitude. The WBV exposure duration was 10 min. After the exposure, participants remained at rest for 5 min while playing a new round of the game. In this way, it was possible to acquire data before and during exposure to vibration and following a period of rest after the exposure. Considering the collected data, a nonparametric statistical analysis (Mann–Whitney tests) was necessary. The results showed decay in the game score during the time with vibration in relation to the initial time without vibration. However, there is a tendency for recovery in the score obtained in the game during the time at rest after the exposure to the vibration in relation to the initial time at rest without vibration. Comparing the use of cell phone versus tablet, it is evident that for the same-gender group under the influence of vibration at the same frequency, better results are obtained with the use of tablet. With exposure to whole-body vibration at the 30 Hz frequency, volunteers presented better results than those subjected to the effects of whole-body vibration at 5 Hz frequency. When one compares the male and female genders, maintaining the same frequency and type of device of each group, it was found that the female group performed slightly better than the male one. The study sought to verify how the cognition and whole-body vibration relate. Moreover, this paradigm served to analyze whether there is any deficit effect or improvement in the individual’s performance in performing certain types of activities due to some influence on the cognitive processes of information processing speed. By observing the analyzed aspects, it is concluded that the exposure to whole-body vibration at both applied frequencies exerts a delay in the reaction and accuracy of the information speed process, with the individual recovering in the acquired score after cessation of vibratory excitation. Therefore, whole-body vibration is an important parameter in all cognitive processes, and further studies should be suggested, implying other variables in the process, in order to verify how the individual behaves and how much it influences cognitive system. This article presented in the Second International Congress on Mechanical Vibration and the First International Congress on Technological Innovations in Health on December 6th and 7th, 2018—Rio de Janeiro/RJ, Brazil. This statement is to certify that all authors have seen and approved the manuscript being submitted. We warrant that the article is the authors’ original work. We warrant that the article has not received prior publication and is not under consideration for publication elsewhere. On behalf of all authors, the corresponding author states that there is no conflict of interest. This research has not been submitted for publication nor has it been published in whole or in part elsewhere. We attest to the fact that all authors listed on the title page have contributed significantly to the work, have read the manuscript, attest to the validity and legitimacy of the data and its interpretation and agree to its submission.